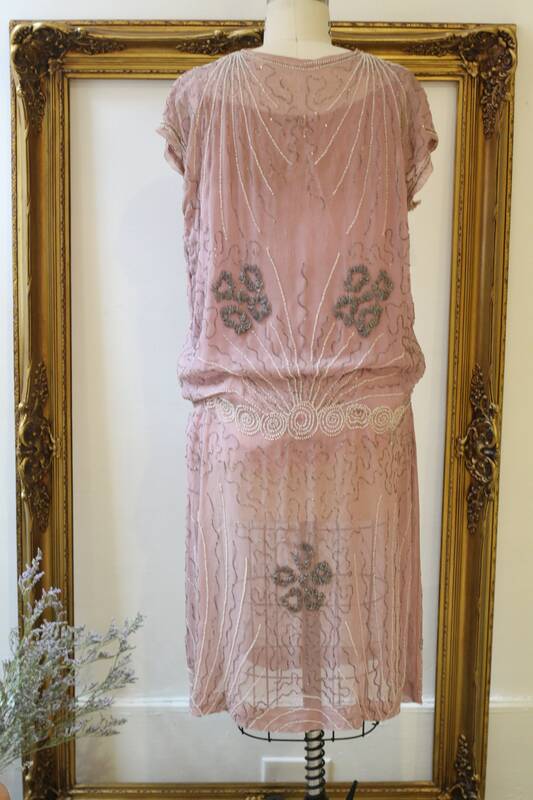 Beautiful and heavily beaded dress from the 1920s. 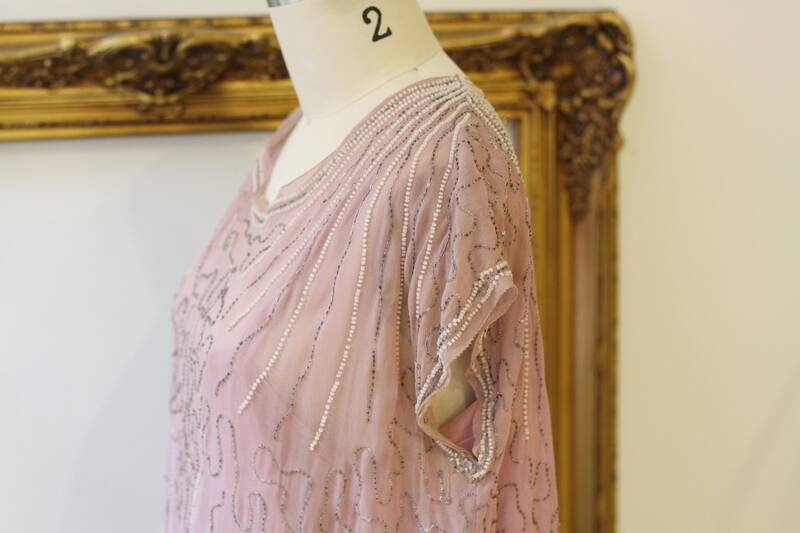 Pink silk fabric with full beading throughout the dress on both the front and the back of it. 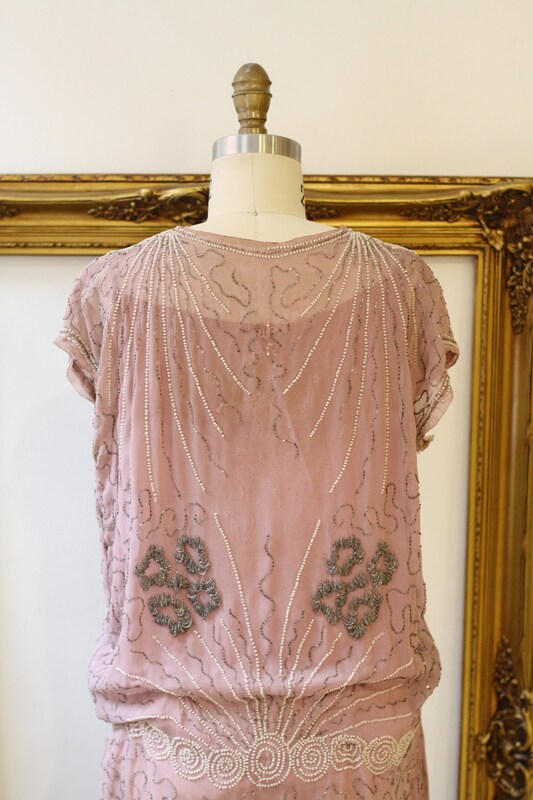 Short sleeves and a slight scoop neckline. The top of th dress has an attached cami but the skirt is sheer. 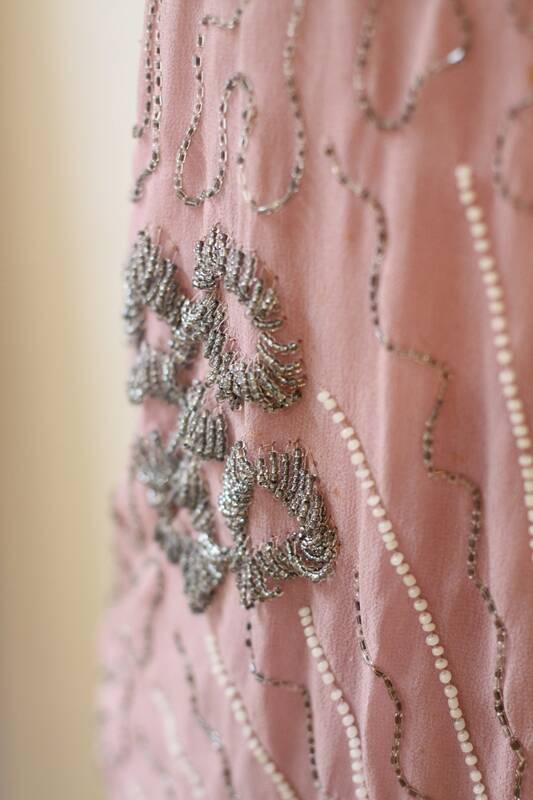 The amount of bead work on this dress is truly stunning. 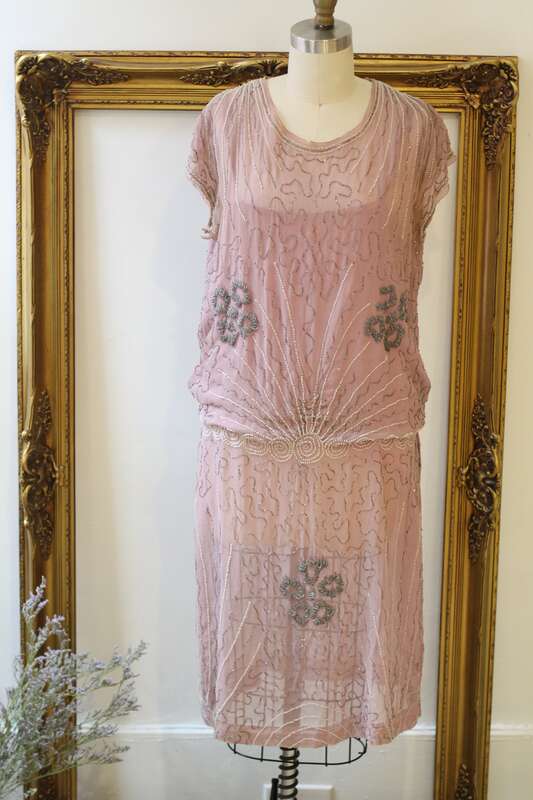 This dress is in okay vintage condition for its age. It is structually sound and able to be worn but there are some flaws around the edge of the straps and underarms. Including bead loss and tears/weakness around the underarm. There is a slight amount of bead loss throughout the dress but not significant overall. The dress has been priced to reflect these flaws. If you have any concerns before purchasing please ask for photos or clarification.